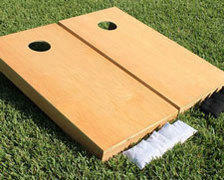 Classic old fashion carnival games are a simple solution for fun backyard parties or other group events. These well known games are fun for all ages and they won't break the bank! Browse the selections below and click on the image or title for more information or to make a reservation.